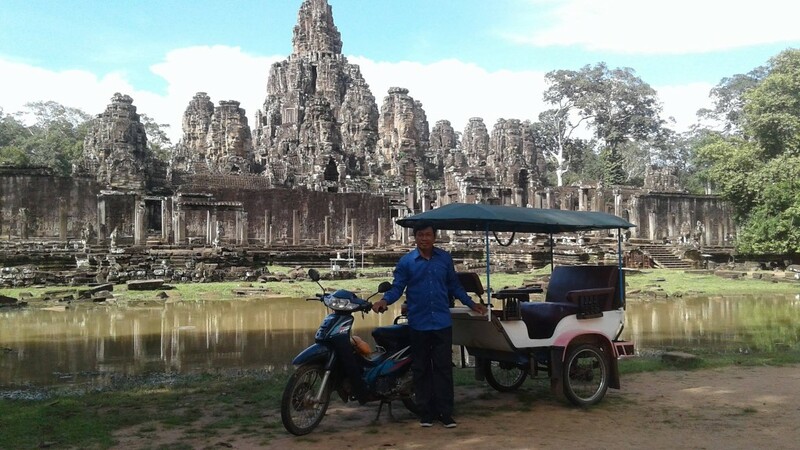 Sophal is a professional driver who can bring you anywhere around Siem Reap, Angkor Wat and other parts of Cambodia. Sophal has 20 years of experience as a driver and your safety is his highest concern. He can drive you around with his car or tuk tuk. Sophal is without doubt the safest and most reliable driver i have met in Cambodia. I’m using his services since I first started living in Siem Reap (about 6 years ago) and not once he was late to pick me up! If you need a tuk tuk or taxi to explore Siem Reap or the Angkor park, make sure to contact him. I’d recommend to book upfront though as he is pretty busy all year round. I booked Sophal for a tour today (based on the previous review). I was not disappointed. Friendly and safe driver. I will use his service again!